We are very grateful to have you as our special guest. We are young and dynamic in nature, growing fast in the hospitality industry. Elgibor Tours is a locally Tours and Travel firm with its head office located in Nairobi Kenya. We are dedicated to meeting the demands of both the recreational and business travelers of the 21st century. The company started operations in the year 2009 by providing transport services to students on their study trips or holiday trips. With time there were several requests from the corporate world for Elgibor Tours to provide same service to major companies holding their annual seminars or retreats. This was later extended to individuals and families who wished to avoid the hustle of driving while on holiday. This called for a rebranding, and so Elgibor Tours was registered as a full-fledged tour company offering exclusive tours and travel services to holiday makers. Since its inception, one thing was quite clear in the minds of the directors: –that for one to excel in the leisure industry, quality is paramount, in both personnel as well as service facilities. From a humble beginning, Elgibor Tours as a company has accumulated practical experiences in the field of tours and safaris. We are now one of the leading tour operators, specializing in promoting East Africa and Kenya in particular as the leading tourist destination in Africa. We have recently expanded our operations into Tanzania and Uganda. Our services vary and include an extensive range of Inbound Tours, Safaris, Car hire, Lodge/Hotel bookings, Transportation, Mountain hiking, Camping, Transfers and Tailor made options to accommodate all prospective clients. Even Honeymoon couples cannot be forgotten. 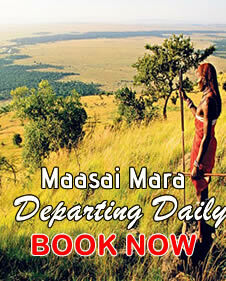 That makes Elgibor Tours in Kenya the most revered tour operator of choice. We provide services aimed at maintaining a high percentage of repeat clients Therefore when you travel with us, you are assured of guaranteed satisfaction that gives value for your money. Our office team of friendly staff is very diligent in their approach and always dedicated to meeting your travel and tour requirements in a swift and professional manner based on your request. All our driver guides are highly experienced and knowledgeable in the world of flora and fauna and are trusted expert off-road navigators. We look forward to seeing you back in East Africa especially Kenya repeatedly, and on behalf of Elgibor Tours company we promise to make each and every vacation as unique and spectacular as previous visits. With these promises having been made, may we take this opportunity to officially welcome you to the world of Elgibor Tours’ expeditions in East Africa.